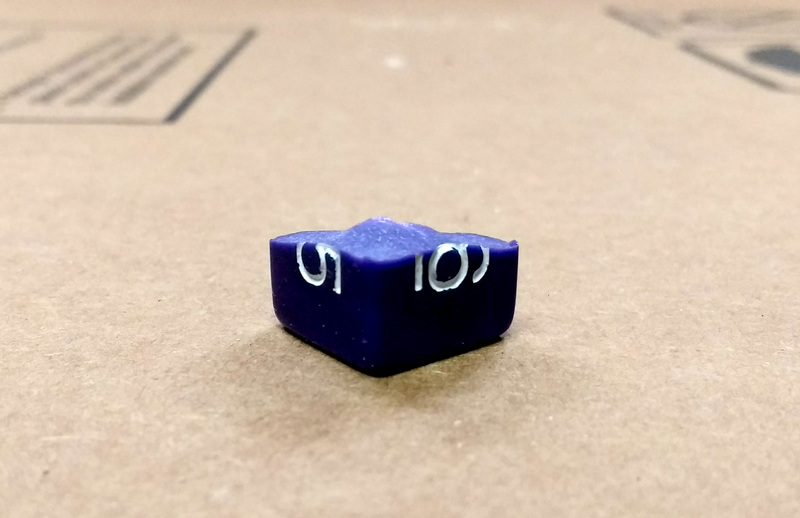 One Response to Have you ever had a die break? They ripped open, a little like what happens if you drop an orange from a moderate height onto a sidewalk. I never bothered to test them to see how well they rolled afterwards.